The Major League-best Red Sox will host the Yankees for a four-game series at Fenway Park from August 2 to 5, concluding with the world watching them on Sunday night baseball. With the exception of the final series of the year, this will be the Yankees’ last time in Boston for the regular season. 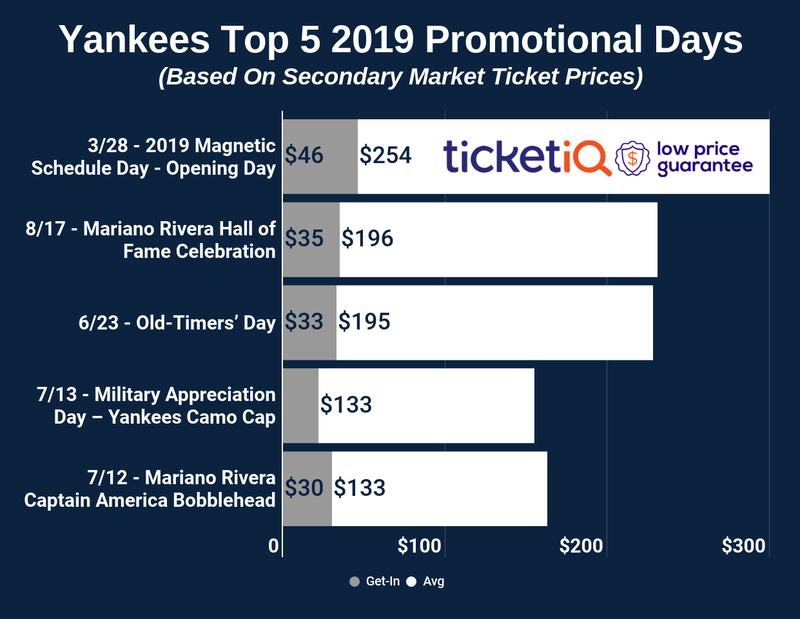 According to TicketIQ.com and AceTicket.com, the get-in price is $82, which is the most of expensive price of any series between the Red Sox and Yankees since 2011. Although All-Star Game starter Chris Sale recently was placed on the disabled list, he, J.D. Martinez and Mookie Betts have the Red Sox on pace for their most wins in franchise history. Sale owns the American League’s best earned run average. The 1912 Red Sox posted the team’s all-time best 105 wins before winning the World Series, and the 2018 Red Sox will be hoping to do the same. Meanwhile, the Yankees are also on pace to win more than 100 games. However, in the 50-year history of AL East divisional play, the Yankees have never finished below first place with triple-digit victories. Although Aaron Judge and Gary Sanchez are both sidelined, the Yankees still own one of the best offenses in baseball, and it will be showcased at Fenway Park. Gleyber Torres, who had a multi-home run game on Wednesday, will look to carry his momentum into the important series. On Friday, fans at Fenway Park will be in store for a treat, as two of the league’s best offenses will take on two strong starting pitchers. Luis Severino, the AL leader in wins, will face off against the man right behind him in the category, Rick Porcello. The pair have a combined 27 wins and 8 losses on the season. In Severino’s last start against the Red Sox, he threw 6.2 innings of 6-strikeout baseball in an 11-1 Yankees win against Boston. Earlier this season at Fenway, Porcello threw 7 scoreless innings with 6 strikeouts in a 6-3 Red Sox victory over the Yankees. Then on Sunday night, Masahiro Tanaka and David Price will hope to finish the series off in style. Alex Cora’s club will be trying to push the Red Sox further ahead while Aaron Boone is hoping to bring the Yankees within striking distance with just two months remaining in the regular season. Whether you are looking to go to one or multiple games during this August series at Fenway Park, let us help you figure out where to sit. According to AceTicket, seats in the Bleachers, averaging $117 per ticket, and the Outfield Grandstand, averaging $134 per ticket, are your cheapest options. Field Box seats, the best place to sit in Fenway, average $455 per ticket. However, the Infield Grandstand seats, which are averaging $169, seem to be your best value with some of them just being a section above the Field Box seats. Tickets come at a premium at Fenway Park, but seeing the Red Sox host the Yankees at one of the best ballparks in history is priceless. Enjoy the spectacle because you might even see a piece of history.